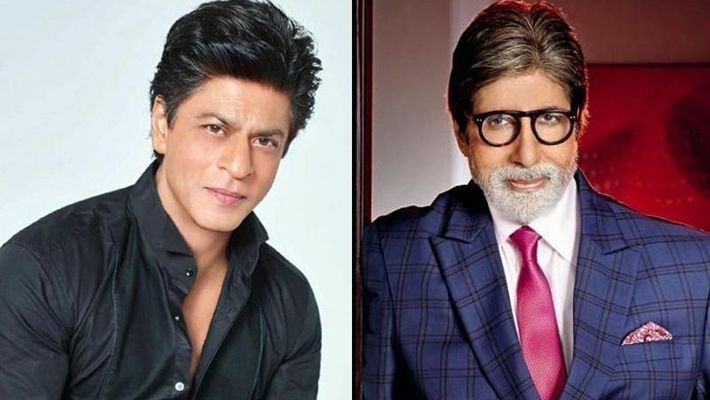 Shah Rukh Khan wants Amitabh Bachchan to recommend him for a job, fans go berserk. Superstars Shah Rukh Khan and Amitabh Bachchan are the loved Indian actors, who are known for their witty remarks on social media and in public events. Likewise, yesterday, when Amitabh Bachchan's latest movie Badla received terrific reviews, the actor was happy with the response and tweeted saying, "Yeh toh gaya, ab kal naukri kahaan (This is done. Now, where's my next job)?" Shah Rukh Khan responded with a ready rejoinder, "Sir aapko mil jaaye naukri toh mujhe bhi recommend kar dena." SRK told Big B to recommend him once Bachchan found a job. sir aapko mil jaaye naukri toh mujhe bhi recommend kar dena. Reading that, Badla actor Taapsee Pannu and director Sujoy Ghosh had the most epic responses. Check out the tweets! Taapsee Pannu said, "Atleast there you both can keep me in the same frame! I also did a good job na." Sujoy Ghosh tweeted saying, "Mujhey bhi recco chahiye (Even I request you for recommendation)." The movie Badla is a remake of the Spanish thriller, The invisible guest. The film revolves around Naina Sethi (Taapsee Pannu), who has been accused in a murder case. Her only hope is lawyer Badal Gupta (Amitabh Bachchan). He has a track record of winning every case in his career. However, this time, he has only three hours to uncover the truth. Sujoy Ghosh's Badla has opened to rave reviews all over. People have been pouring in with praises for the cast: Amitabh Bachchan, Taapsee Pannu and Amrita Singh. Maximum accolades have come in for Bachchan for his stylish look and powerful dialogues.